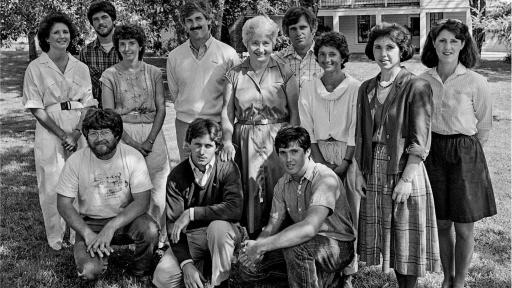 Mendocino County, Calif. January 17, 2018 – Fetzer Vineyards, the historic Mendocino County-based winery lauded for its beloved American wine brands and pioneering leadership in sustainability, is celebrating its 50th anniversary in 2018. 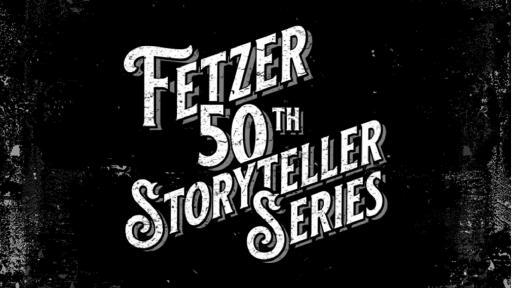 The flagship Fetzer brand will honor the 50th anniversary year through a variety of activities, most notably the Fetzer 50th Storyteller Series, a robust social media campaign showcasing video interviews with past and present Fetzer luminaries. 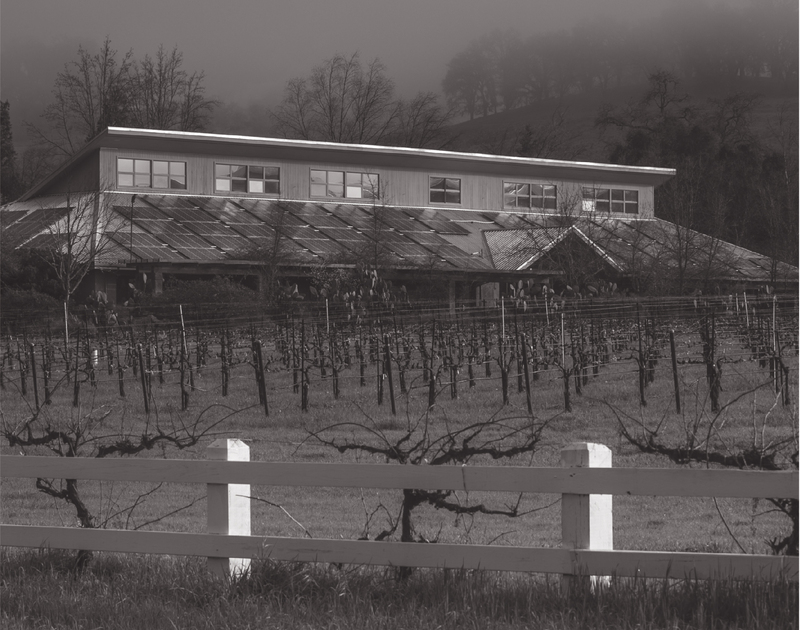 Fetzer Vineyards’ golden anniversary comes at an exciting time for the winery, which recently expanded into the luxury wine and spirits space and was recognized by the United Nations with a Momentum for Change award for its pacesetting sustainability practices. 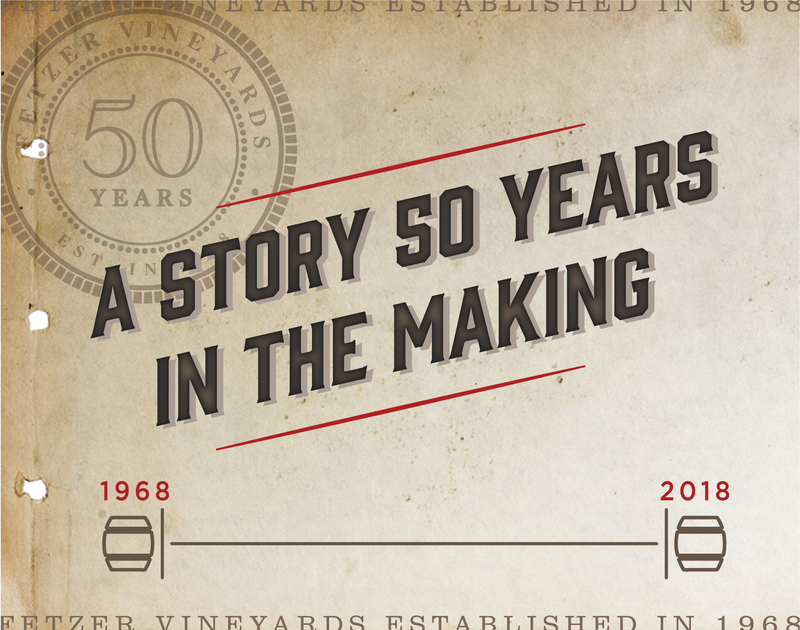 Fetzer’s first-ever storyteller series features interviews with key wine industry personalities, whose collective tales bring to life the rich history and dynamism of the pioneering brand’s past. 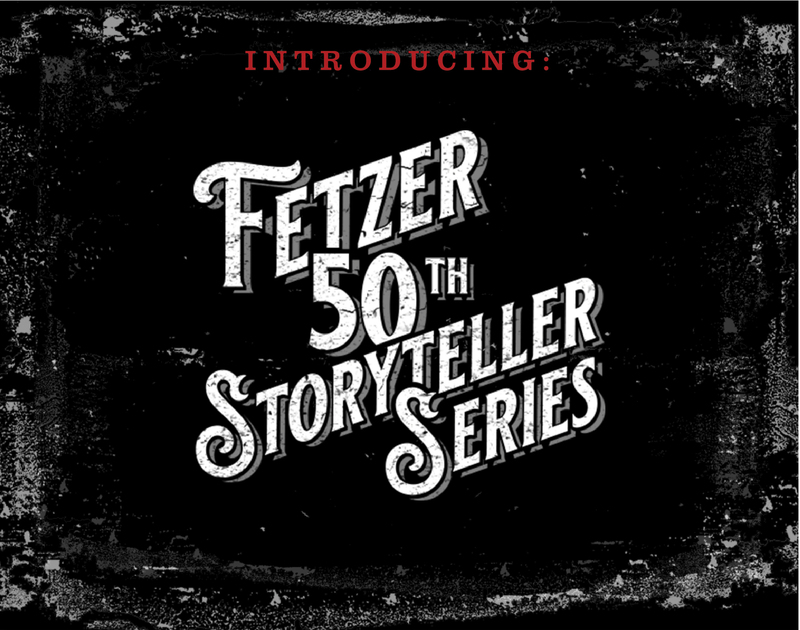 For 50 weeks following the series’ January 2018 launch, the flagship will release a new one-minute video highlighting a unique Fetzer story, with stories debuting on select social media platforms as well as at Fetzer50th.com. “It’s exciting to see Fetzer wines brought to life through stories that touch on so many aspects of our past,” said Bob Blue, VP of Winemaking and Winery Operations for Fetzer Vineyards. “From tales of Kathleen Fetzer’s legendary chocolate chip cookies, and lively parties at the Big Dog Saloon to Fetzer’s success in driving the budding Merlot category, these tales all helped shape who we are today,” continued Blue. 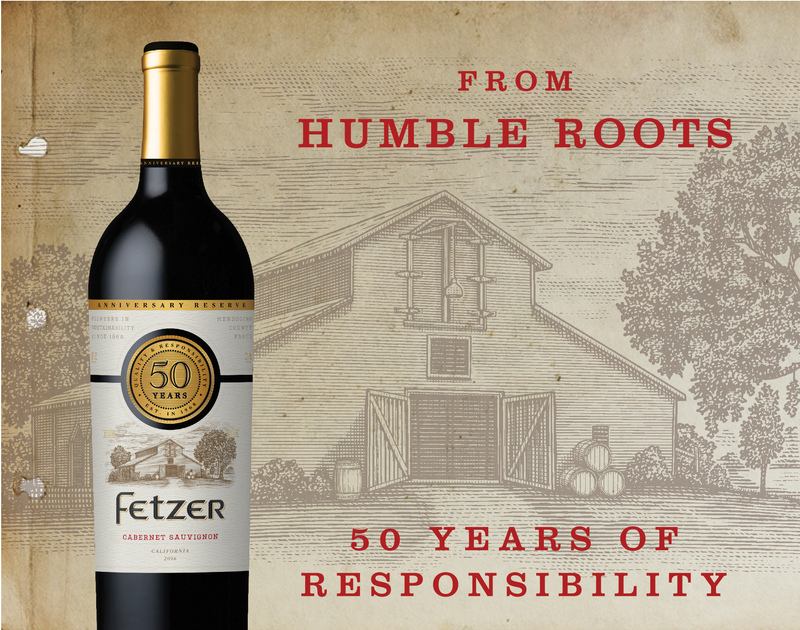 Concurrent with the Storyteller Series’ launch, Fetzer has released a revitalized website and limited-edition 50th anniversary commemorative Cabernet Sauvignon (SRP $12.99), available nationwide. 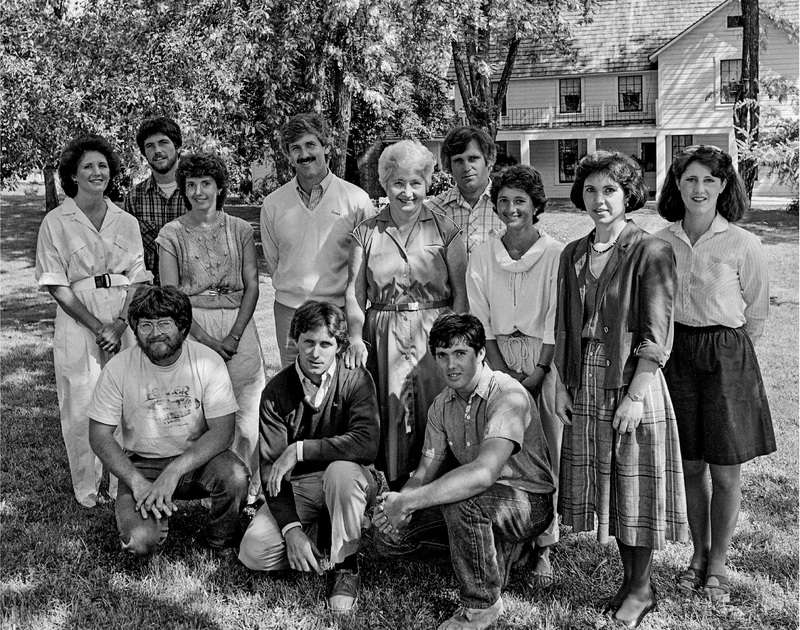 Fans are invited to join the conversation on Facebook and Instagram with the hashtags #fetzerstories and #fetzer50th, and to learn more about Fetzer past and present at Fetzer50th.com. 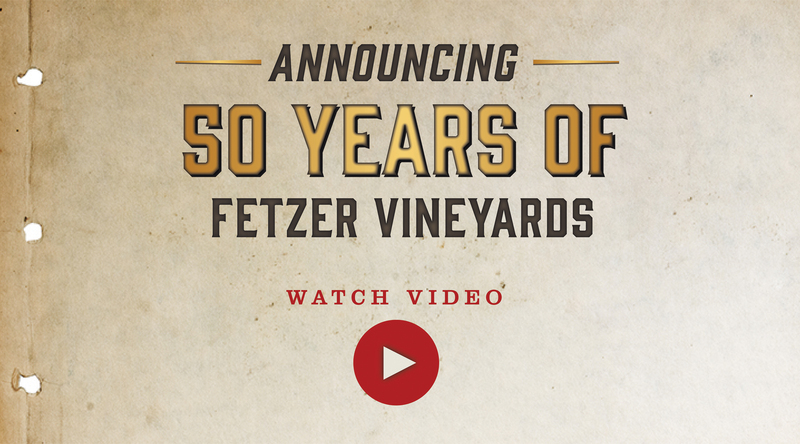 The golden anniversary and Storyteller Series signal a festive time for Fetzer Vineyards, which concluded 2017 having reached a number of new milestones while expanding its portfolio in the growing luxury and import categories. Key milestones include the release of Fetzer Vineyards’ first-ever sustainability report, Road to Regeneration, and the receipt of five sustainability-related recognitions in 2017, including the UN honor as well as the Amorim Sustainability Award from The Drinks Business. In September, Fetzer Vineyards announced a sales partnership with luxury craft whiskey producer Kentucky Peerless Distilling Co. to represent its Kentucky Peerless Straight Rye Whiskey, named one of the world’s “Top 20 Whiskies” by Whisky Advocate magazine in November, in the U.S. Also in 2017, Fetzer Vineyards introduced Adorada, a duo of premium wines crafted in a uniquely aromatic style, and celebrated receipt of an IMPACT “Hot Prospect” award for its 1000 Stories Bourbon Barrel-Aged California Zinfandel. Building on this momentum in its 50th year, Fetzer Vineyards recently expanded its import footprint with the assumption of U.S. import rights for admired Chilean wine brand Cono Sur, effective January 1, 2018. New Fetzer Vineyards portfolio additions including Peerless, Adorada and Cono Sur allow the vintner to expand its offerings in the important luxury and premium import segments of the wine and spirits market, while offering ever greater diversity to commercial partners. In step with these developments, Fetzer Vineyards remains committed to growing its portfolio in sync with an ongoing emphasis on regenerative business practices that ultimately aim to put more resources back into communities and the environment than the winery uses in crafting its collection. “Growing our business while maintaining a focus on sustainable practices and the values that enabled us to become the world’s largest certified B-Corp winery is at the heart of what we do,” said Fetzer Vineyards CEO, Giancarlo Bianchetti. 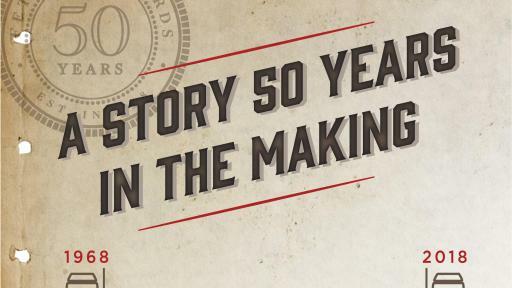 “As we anticipate the next 50 years, we look forward to taking more bold steps towards our vision of a regenerative, Net Positive company, while continuing to deliver a portfolio of acclaimed wines and spirits to consumers in all 50 U.S. states and around the world. This is just the beginning,” said Bianchetti. Founded in 1968 by Barney Fetzer in Mendocino County, California, Fetzer Vineyards is an award-winning purveyor of wines from sustainable, organic and biodynamic grapes. 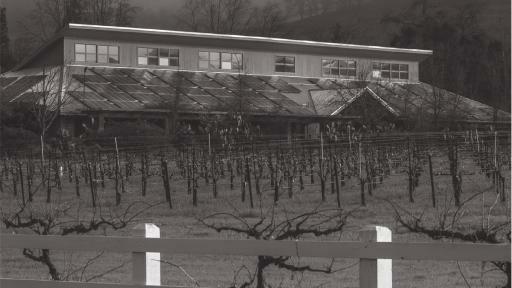 In addition to robust offerings under the winery’s flagship Fetzer label including the iconic Sundial Chardonnay and Valley Oaks Cabernet, the winery also crafts the leading wine from organic grapes, Bonterra Organic Vineyards, named the 2016 American Winery of the Year by Wine Enthusiast magazine. 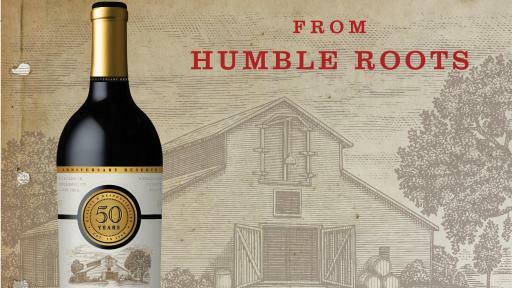 Other offerings include Adorada, Anthony’s Hill, Jekel Vineyards, Sanctuary Wines and 1000 Stories, a Bourbon barrel-aged Zinfandel recognized as an IMPACT Hot Prospect brand, as well as acclaimed imports Cono Sur and Viña Maipo. Part of global winery Viña Concha y Toro, Fetzer Vineyards exports its diverse wines to more than 50 countries worldwide. Recently, the winery entered the ultra-luxury wine and spirits category by forging a partnership with Kentucky Peerless Distilling Co. to sell its historic craft rye whiskey. @2018 Fetzer Vineyards, Mendocino County, California USA.